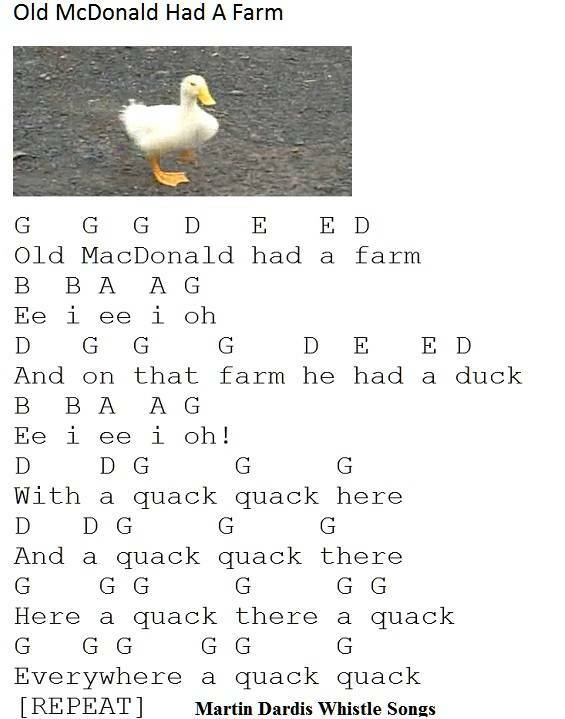 Old McDonald Had A Farm Sheet Music And Tin Whistle Notes. This one repeats itself over and over. Children love to hear it but adults are driven demented having to sing or play it again and again.